Individual rideshare drivers for services including Uber and Lyft can apply for $3,000 grants toward an electric vehicle under expansion of a Smart Columbus program that had been open only to larger fleets. The public-private initiative on Tuesday announced a new round of $90,000 in incentives for 30 vehicles, funded by the $10 million Paul G. Allen Philanthropies grant toward reducing greenhouse gas emissions that was part of the Smart City Challenge win. The first 10 rebates were awarded in July to Yellow Cab of Columbus, where the new Chevy Bolts have been a hit with drivers who lease the vehicles daily and without gasoline costs, which means they can keep more of their fares. 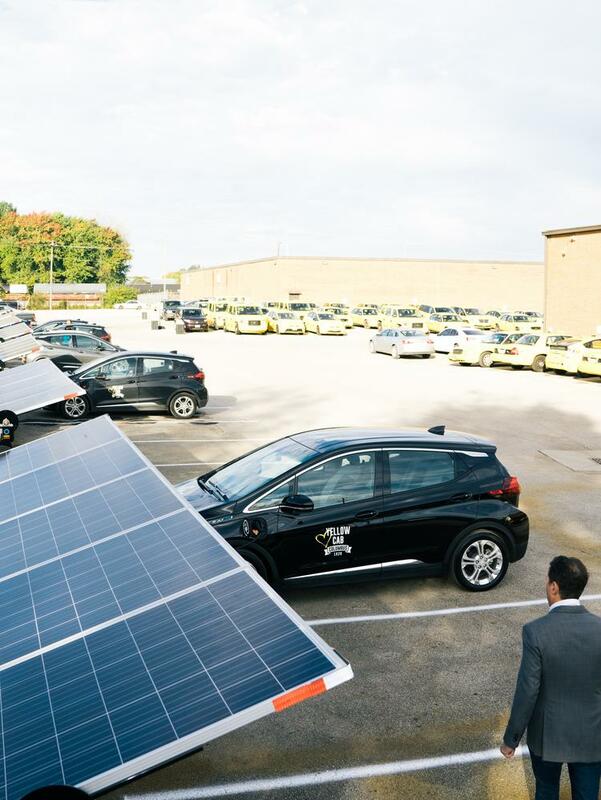 Yellow Cab charges the vehicles with solar stations from DC Solar. Nonprofit Clean Fuels Ohio is administering the program for Smart Columbus. Other grants have gone toward installing EV charging stations, and a parallel AEP Ohio program is using a surcharge to install 375 public stations throughout its service area. One of the Smart Columbus goals is to boost consumer adoption of electric vehicles to 1.8 percent of the market in 2020, from a minuscule 0.4 percent in 2015. In June, July and August of this year, electrics were 1.1 percent to 1.3 percent of sales in the seven Central Ohio counties, including 0.08 percent that are battery-only EVs. A separate initiative is halfway to a goal to 300 governmental fleet vehicles throughout the region by 2020.